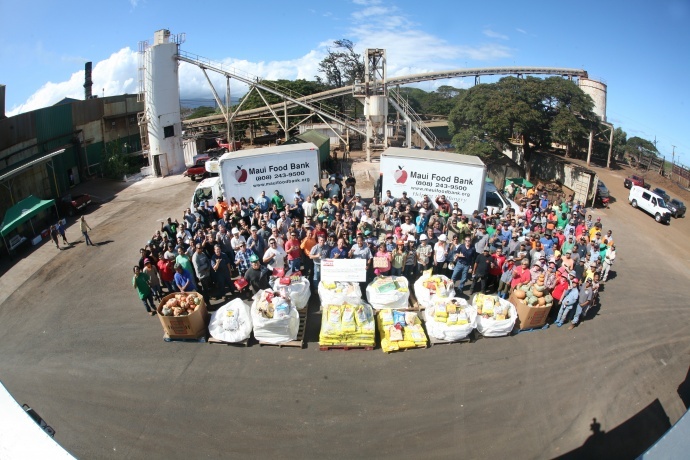 Photo courtesy of Maui Food Bank. (R-L) Charles Reinhardt & Kepo’o Kaplan-Reinhardt. 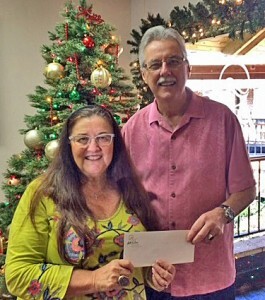 Maui Mall’s annual Holiday Kick-Off Toy and Food Drive, held on Nov. 26, 2016, raised more than 109 pounds of food, and collected various toys for the Maui Food Bank and Ka Hale A Ke Ola Homeless Resource Center. 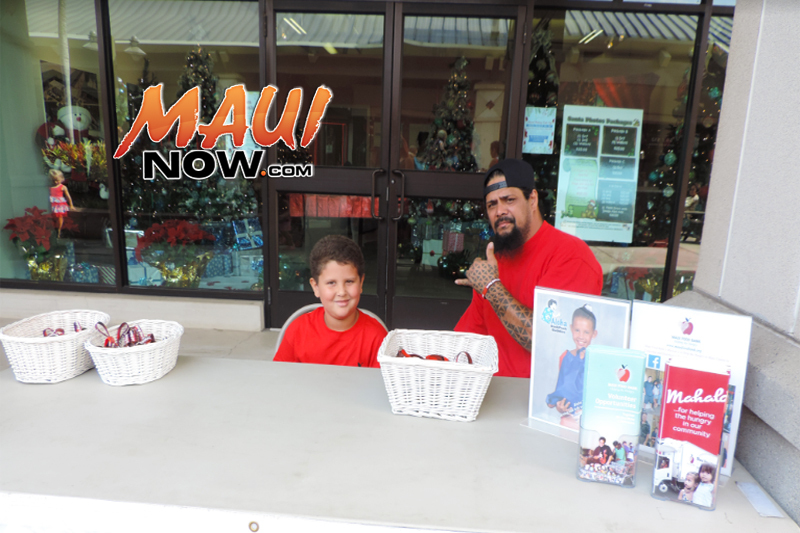 The first 50 keiki who donated an item also received a free photo with Santa. 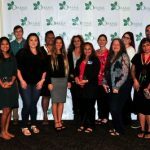 “We were honored to partner with Maui Mall, this was great opportunity for the community to come together to help those in need during the holiday season. 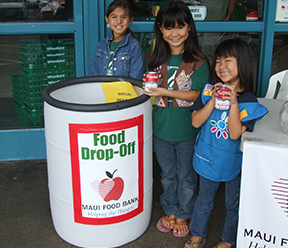 This food drive helps many families throughout the island, and also helps spread awareness about the serious issue of food insecurity,” said Steph Kaplan, Community Relations Manager. 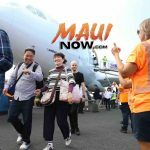 Maui Mall, located in Kahului, offers more than 35 shopping and dining options, as well as Maui’s largest theater.